Honestly, we cannot discover the true answer by merely watching CNN or Fox News. Believe it or not, the only place we can turn to for up-to-the-minute, 100% reliable information about why such horrendous catastrophes seem to be daily increasing across the globe is an ancient book whose cryptic prophecies pinpoint our generation. It’s the last book of the Bible: the book of Revelation. Notice carefully Revelation’s description of how – immediately preceding the Second Coming of Jesus Christ – heavenly angels are depicted as holding back global desolation: “After these things I saw four angels standing at the four corners of the earth, holding the four winds of the earth, that the wind should not blow on the earth, on the sea, or on any tree. Then I saw another angel ascending from the east, having the seal of the living God. And he cried with a loud voice to the four angels to whom it was granted to harm the earth and the sea, saying, ‘Do not harm the earth, the sea, or the trees till we have sealed the servants of our God on their foreheads’” (Revelation 7:1-3). “The four winds of the earth” represent worldwide conflict, war, and especially, natural disasters; and the “four angels” restraining these winds represent the benevolent forces of a loving Creator who is even now preventing all **** from breaking loose. But as we get closer to “the great day” of God Almighty (see Revelation 6:17), these heavenly sentinels finally begin to loosen their grip over pent up – and often satanically inspired – forces of death and destruction. This is the real reason why deadly disasters are increasing daily. This explains the facts perfectly. 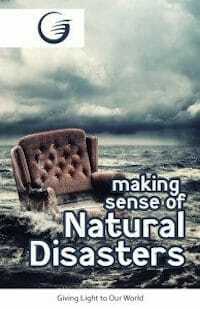 University-trained scientists may offer other explanations, but the truth is that increasing “disasters by sea and by land” reveal that “the restraining Spirit of God is even now being withdrawn from the world.” But why? What is humanity doing to cause the Maker of heaven and earth to withdraw His protection from those He created, loves, and seeks to save? The answer is startling, yet simple. On every continent, in every smog-polluted city, and on every tropical island across the deep blue sea, the vast majority of earth’s teeming inhabitants are now openly, recklessly, and persistently – without fear of eternal consequences – breaking the Ten Commandments, which the Bible states were originally “written with the finger of God” (Exodus 31:18) on two tablets of solid rock. “Grieve not the Holy Spirit of God,” wrote Paul in Ephesians 4:30. Yet today’s irreligious, happy-go-lucky, party-loving multitudes are doing exactly that 24-7. This is the true reason why God is withdrawing His hand. According to God’s Book, breaking the Ten Commandments is sin. “Sin is the transgression of the law” (1 John 3:4), affirmed John. Yet “God so loved the world that He gave His only begotten Son” (John 3:16) to endure the full penalty of this broken law on a cruel cross in our place. “Christ died for our sins” (1 Corinthians 15:3) is Heaven’s Good News. If we are willing to repent, confess, and have faith in Jesus as our Savior, “He is faithful and just to forgive us our sins, and to cleanse us from all unrighteousness” (1 John 1:9). Those who do this in these end-times – thereby manifesting their loyalty to each of the Ten Commandments – will receive “the seal of the living God … on their foreheads” (Revelation 7:2,3). They will also be perfectly protected when “the four winds” are fully loosed and “the Devil and Satan” (see Revelation 12:9) takes full control. As cruel and devastating as massive earthquakes, killer tsunamis, unstoppable fires, overflowing floods, and horrific tornados are, God nevertheless has a purpose in allowing these nightmares to decimate His world. In a nutshell, He is desperately trying to get our attention. “Repent!” is His urgent plea in the midst of the storm. Yet few listen. A careful study of the book of Revelation also implies that sincere yet misguided religious leaders will eventually misinterpret these events and claim that “God is directly punishing human beings for their refusal to keep Sunday sacred,” even though the Ten Commandments plainly identify “the seventh day” (Saturday) as the true day of rest. If you should ever hear such an interpretation of current events, don’t be fooled by such reasoning. Read Exodus 20:8-11 and Revelation 14:12. The Bible reveals the truth. 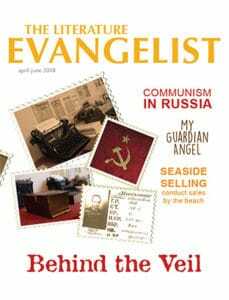 On Sunday night, October 8, 1871, the famous evangelist D.L. Moody was preaching to an immense crowd in Chicago about the importance of sinners making commitments to Jesus Christ. “Call for decisions now!” was the urgent impression of the Holy Spirit to the preacher. But Moody hesitated. Instead, he told his spellbound hearers that he would call for decisions next week. That crowd never returned. During the closing song the loud sirens of fire trucks declared that the Great Chicago Fire had begun. It blazed for two days, killing hundreds. Oh how Moody later wished he had made that appeal! Dear reader, deadly disasters can strike at any moment. Tomorrow we may be dead. Yet in the midst of heartache and loss of life, God suffers too, just like He did when His own Son died upon a cross. For our encouragement, His Word promises that someday – when the foul odor of sin vanishes away forever – there will be “no more death, neither sorrow, nor crying, neither shall there be any more pain. For the former things have passed away” (Revelation 21:4). Above all, make sure you don’t miss Heaven. Choose Jesus Christ today! 2. Testimonies for the Church, by Ellen G. White, Vol. 6, p. 408. Pacific Press Publishing Association; Mountain View, CA (1941).